We all like Philippians. William Hendriksen has called it a ‘little gem of four sparkling chapters’. It is not the most important of Paul’s letters but it has what one writer calls ‘a peculiar charm’. Short, straightforward, positive, practical and casting light on some of the characters connected with the church at Philippi, it is full of interest. Bengel claimed ‘The sum of the epistle is I rejoice, rejoice ye’ and indeed the joy and rejoicing words appear many times (see 1:18, 25, 26; 2:2, 17, 18 29; 3:1, 4:1, 4, 10). Furthermore, there is the wonderful ‘hymn’ in Chapter 2 – full of theology and focused on Christ. Don Carson has preached and written on it under the heading Basics for believers. No wonder we are drawn to it. It is one of three New Testament letters written by Paul from prison and is the most personal of his letters to churches. It is only a short letter but Paul uses the first personal pronoun around a hundred times! He speaks of himself, not in a boastful way, nor as a defence against attack on his authority and apostleship, as in 2 Corinthians, but rather out of a deep affection for the Philippians. 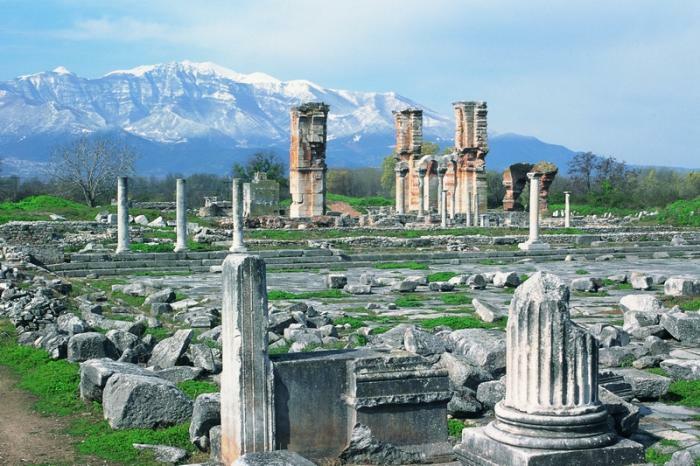 Founded BC 356 and named for Alexander’s father Philip II, Philippi became part of the Roman Empire in BC 167. Anthony and Octavian defeated Brutus and Cassius there BC 42 and it became a Roman Colony. A strong sense of Roman citizenship would have prevailed in this ‘miniature Rome’, a fact that illuminates parts of Acts 16 and Philippians 3:20 especially, But our citizenship is in heaven, etc. The idea that we eagerly await a Saviour from there, the Lord Jesus Christ, parallels the unrealised Philippian hope of a visit from the emperor. Paul writes about a decade after he had first gone to the city on his first foray into Europe, along with Silas and Luke on his second missionary journey. The city had been responsive. Lydia’s conversion is recorded in Acts 16, as is the conversion of the gaoler and his family. They had become some of the first members of the church. The church had supported Paul financially in his travels and mission, particularly when he was fairly near to them in Macedonia and Greece. Now that they had heard of his troubles in Jerusalem and subsequent transfer to Rome, they had once again contributed to his needs. They sent this by the hand of Epaphroditus. After reaching Rome he had been taken seriously ill, and was at the point of death. Paul ascribed his recovery to prayer. God had been merciful in sparing him the sorrow of losing this friend and fellow-labourer. The church had heard of his illness and was concerned about him, so Paul now sends him back with this letter, to assured them that he had discharged his task in relaying the gift to the apostle. The letter was probably written toward the end of Paul’s two years imprisoned in Rome. Some commentators say it was written before the other prison letters to Asia, as the style of the language is more like that used by Paul in the letters written during his travels. However, we have to allow for some time to elapse after his imprisonment started for the news to travel to Philippi, and for the church there to have sent Epaphroditus to him. Paul mentions his reputation among the Praetorian Guard (1:13) and the entry of the gospel into Caesar’s household (4:22), both of which would have taken a while to happen. All this seems to indicate a date toward the close of his imprisonment, perhaps in the latter part of AD 61. Some have described the letter as a ‘Thank you’ note, which in some ways it was. One of the main themes of the letter is the gospel, which Paul mentions nine times. He speaks of fellowship in the gospel (1:5), the confirmation of the gospel (1:7), the progress of the gospel (1:9), the defence of the gospel (1:16), being worthy of the gospel (1:27), striving for the faith of the gospel (1:27), service in the gospel (2:22), labour in the gospel (4:3) and the beginning of the gospel (4:13). He does not give any definition of the gospel in the letter. 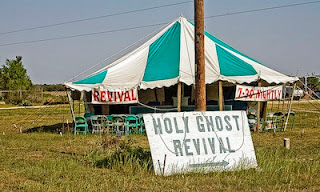 It was a term that was well understood by the church. He uses the term as expressing a body of faith, a message, and the work of preaching it. He does speak eloquently of the humbling and death of Christ in Chapter 2, and of seeking Christ’s righteousness in Chapter 3, so the basic elements of the gospel are covered in the letter. Another theme, or really a characteristic note in the letter, as we have said, is that of joy. Paul’s outward circumstances were anything but joyful: he was in prison and could soon face death, as he makes clear in Chapter 1. However, he is thankful for every memory of the Philippians, and even when Christ was preached from wrong motives, thinking to cause him distress, he could rejoice that Christ was proclaimed. He urges his readers to rejoice in the Lord, commit everything to God in prayer, and dwell upon what is good. A great deal of controversy has raged around the precise meaning of kenosis - the statement that Christ emptied Himself (2:7) - some have taken it to mean that he even emptied himself of his deity when he came to earth as man. However, we see from Colossians that this was not so. The fullness of the Godhead dwelt bodily in him. It can only mean that he divested himself of the outward manifestation of his glory and deity, while at the same time remaining fully God. This is one of the outstanding New Testament passages on the incarnation of Christ, even though its prime intention is not really to teach Christological doctrine, but rather to exhort humility: it shows how doctrine and practice are inextricably linked.